Longer-term outcomes and unmet needs of families and service providers require further investigation. Limited evidence and outcome data relating to the treatment burden is available on children dependent on non-invasive ventilation. ‘Technology creep’ can be seen in the increasing number of children moving on from night ventilation. Use of long-term ventilation to support respiratory function in children is increasing worldwide (McDougall et al 2013, Cancelinha et al 2015). This results from improved critical care management, advances in technology, development of better portable paediatric medical devices, ventilators and monitoring. 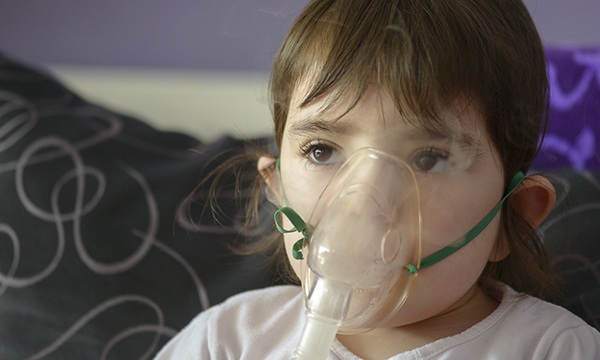 The three recent studies that follow explore the care of children dependent on long-term ventilation. Common and recurring themes around unmet needs emerged from this integrative literature review, which explored evidence on the social and emotional effects on parents of children with complex health needs and requiring mechanical respiratory support. Only six studies met inclusion criteria. A narrative synthesis of the data revealed a lack of formal and informal support, financial difficulties, variable access to respite care, and the knock-on effect of changing parental roles leading to symptoms of depression and low social and emotional well-being, all of which have been linked to social isolation. The authors acknowledged that the evidence base is limited, possibly because managing long-term ventilation in children at home is still relatively new. As this is a growing area of service provision, they recommend further research to investigate longer-term outcomes and to better understand the needs of the families and service providers involved. Limited evidence and outcome data relating to the treatment burden was found in this Canadian scoping literature review, which summarised what is known about the long-term use of non-invasive ventilation in children and what direct improvements in care are needed. Of 11,581 potential studies, 289 identified children aged 0-18 years receiving long-term non-invasive ventilation outside an acute care environment. The authors found that long-term use of non-invasive ventilation is described through multiple terms for a wide variety of conditions (n=73) including multiple syndromes, congenital heart defects, obesity, sickle cell disease and cancer. Studies were mainly descriptive, lacked robust research methodology, used small sample sizes, and focused on conditions such as neuromuscular diseases and obstructive sleep apnoea. The authors recommend the development of standardised terminology and further research. The importance of information, shared decision-making and special populations were explored through semi-structured telephone interviews with 15 directors of paediatric home-based long-term ventilation programmes across the US and Canada. The benefits, risks and burdens for the child and family were highlighted in the context of information needs. Decision-making issues included the need to facilitate supportive, interdisciplinary meetings, address the family’s worries, and organise meetings between families. Four specific groups of children were identified as special populations: cognitively intact older children, children with poor prognoses, profoundly cognitively impaired younger children and children dependent on non-invasive ventilation. Although ‘technology creep’ emerged as in issue in relation to an increasing number of children moving on from only night ventilation to becoming fully dependent, 24-hour support for non-invasive ventilation was not recommended by 14 participants, who felt the risks outweighed the benefits. The authors concluded that the development, implementation and process of decision-making in long-term ventilation programmes is complex, particularly when considering pros and cons of invasive and non-invasive ventilation.